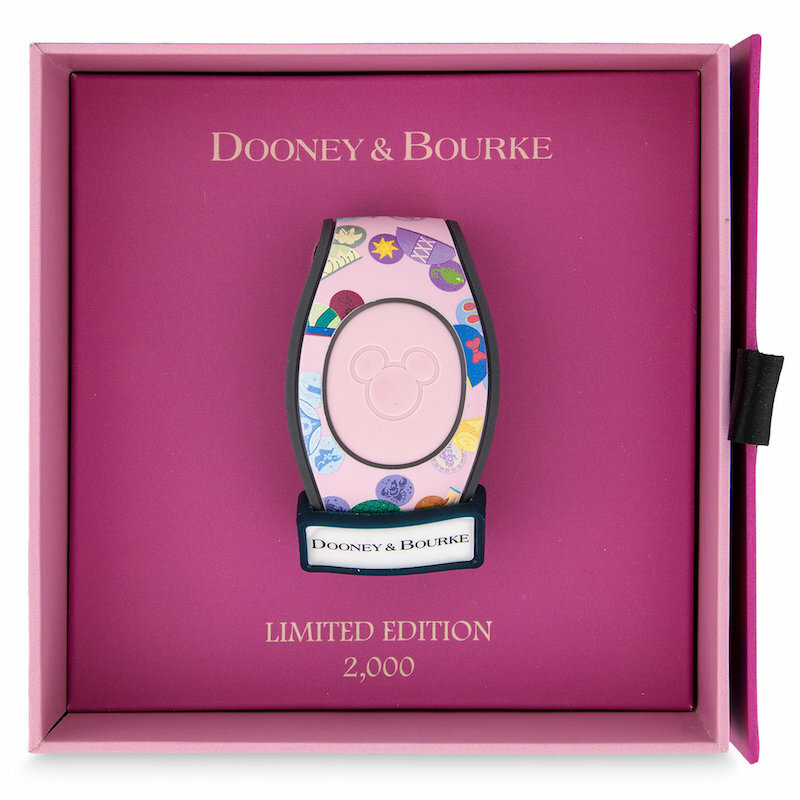 There was a surprise release today in Disney Springs at the Ever After Jewelry Co. & Accessories store: A new Limited Edition 2000 Princess Ear Hat Dooney & Bourke MagicBand! 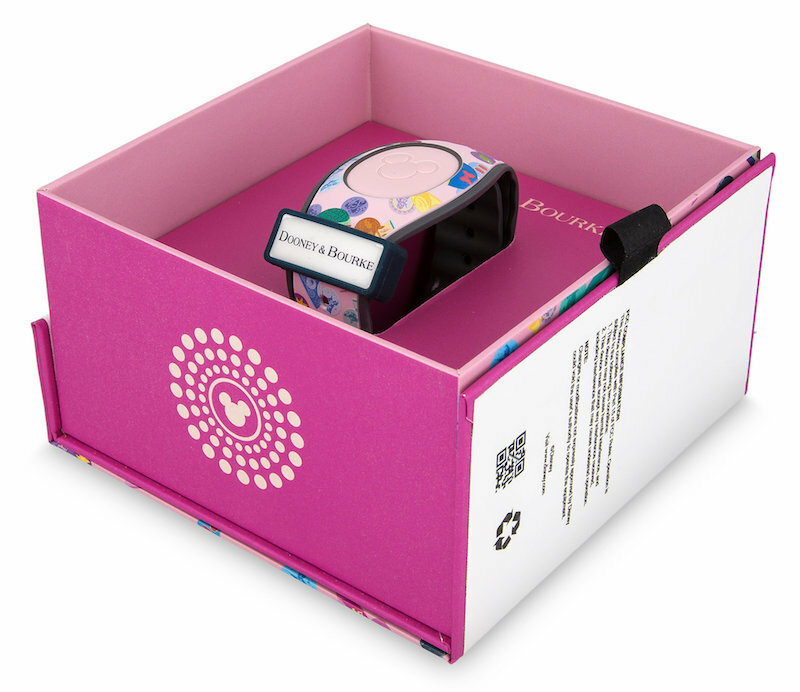 This band matches the handbags with the same pattern and color (millennial pink) called “I Am Princess”, and were also released today at that store. 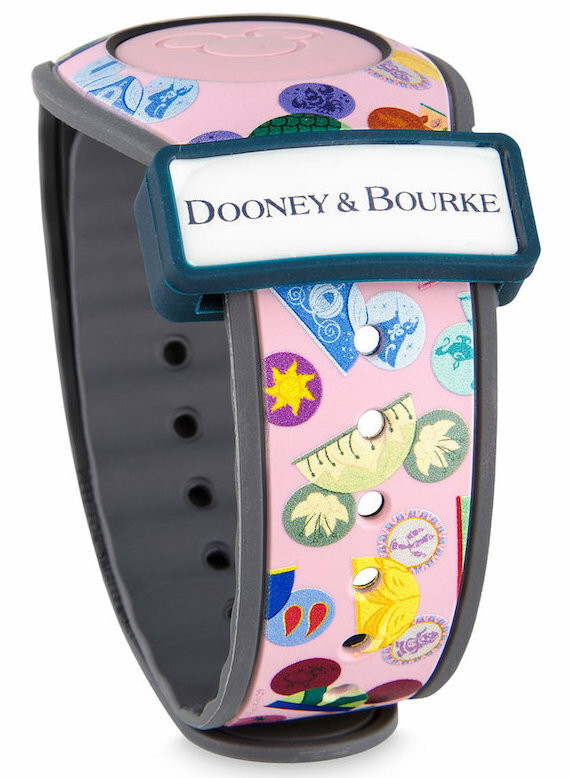 This MagicBand goes for $48 and the barcode SKU is 400020985637. This band should make special effects at certain touch points, and once I find out if that is true I will post the video here. Here are some pictures of the new band. 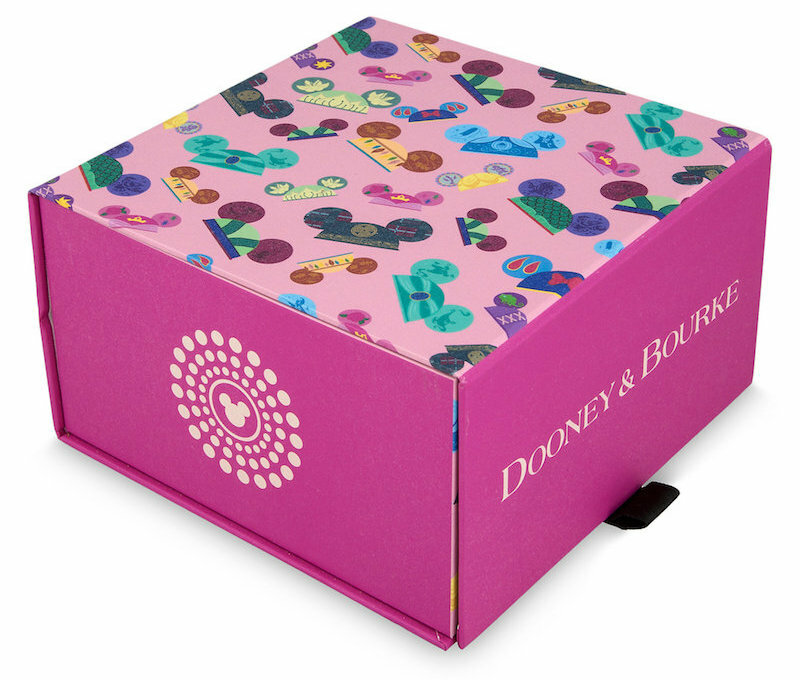 20 Responses to "Surprise release: Dooney & Bourke Princess Ear Hat Limited Edition 2000 MagicBand"
Hi! 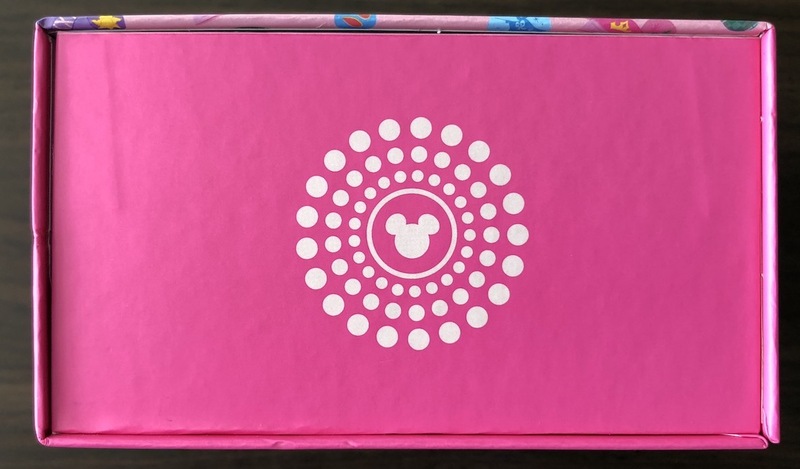 I am desperately trying to purchase the Princess Ears magic band for my daughters birthday. Any suggestions? Thanks. For now eBay is the only way outside of Disney. These are on disneystore.com this morning!! Checked today, Monday, 8/13 and they say they have sold out as of yesterday. I was there 3 mins after store opened at 10am yesterday … they were gone. There’s no way they sold 5,000 of these already. There’s no way they even sold half that. 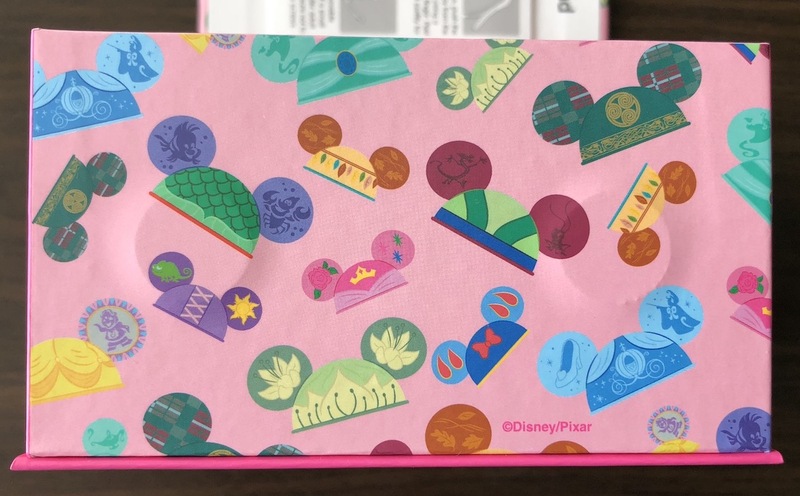 They pulled this same stunt with the Epcot 35 and Red Figment LE bands, claiming they were all gone, and then they restocked and sat on shelves for 6+ months for the Epcot 35 one, and you can still get the Red Figment LE band in Epcot right now, 11 months later. 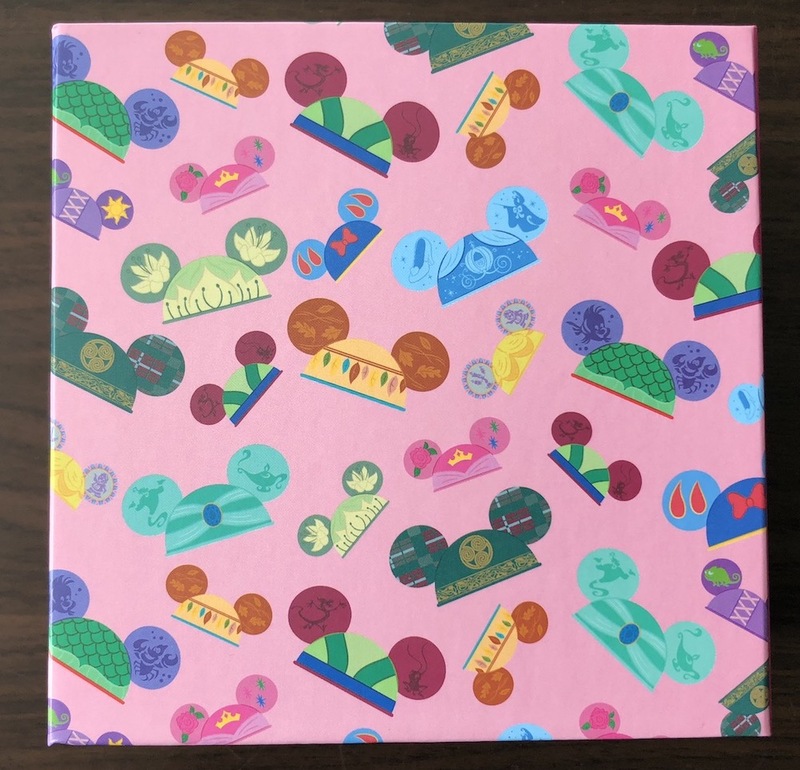 These will be restocked and available for likely even longer than the above bands, since they’re only sold to DVC members. If not, I’ll eat a cow, and I’m vegetarian. Whoops, I thought I clicked the DVC LE band link, not this one. >_< My apologies! They are back on stock. Picture on Facebook page. Yes, they are back in stock. Just got one this afternoon, and there were plenty at the store. What store did you see them at? Is there a phone number for the store? I would like to call them. Have you found out if this band has any special effects with it yet? Unfortunately nothing yet. Hopefully we’ll see a video pop up soon. On sale on Disney site now! On sale on Disney site now!!! Unfortunately this has no sound. 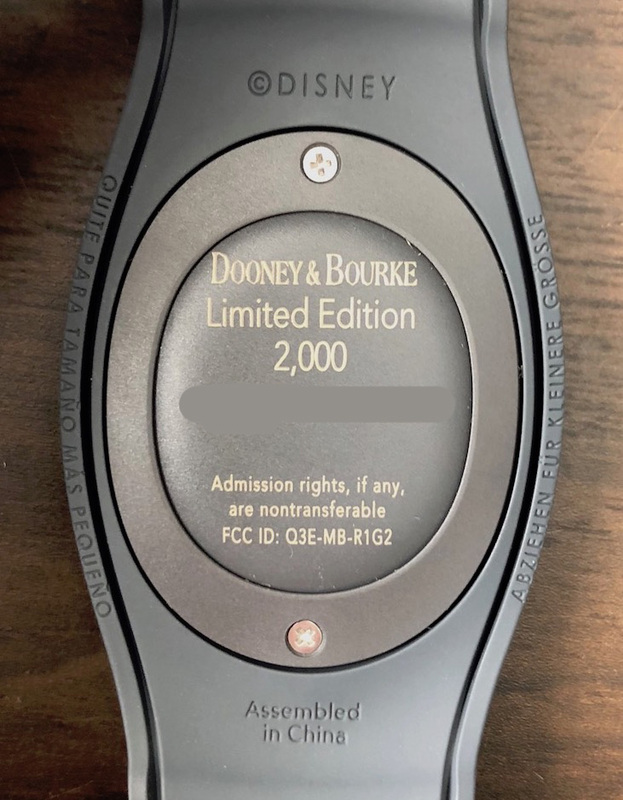 Does that seem to be the same effects as the very first group of 4 D&B magicbands that came out a while back? 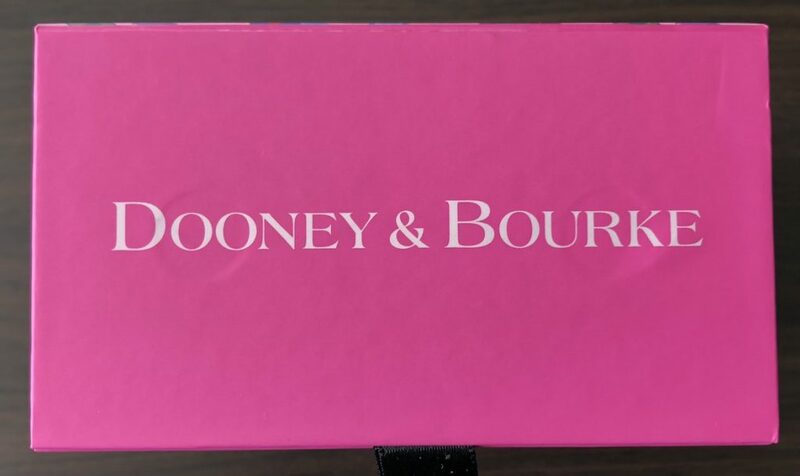 Do you think they will restock again on the Disney store website? I really want this band! 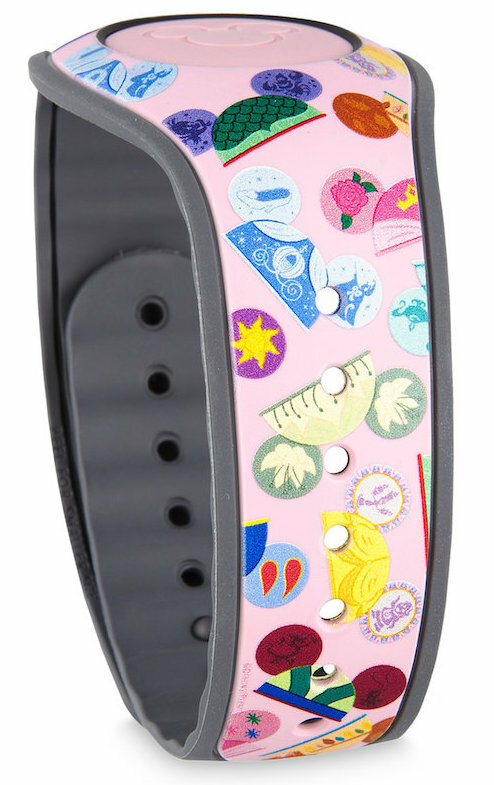 I am currently in the parks, will this band ever restock? 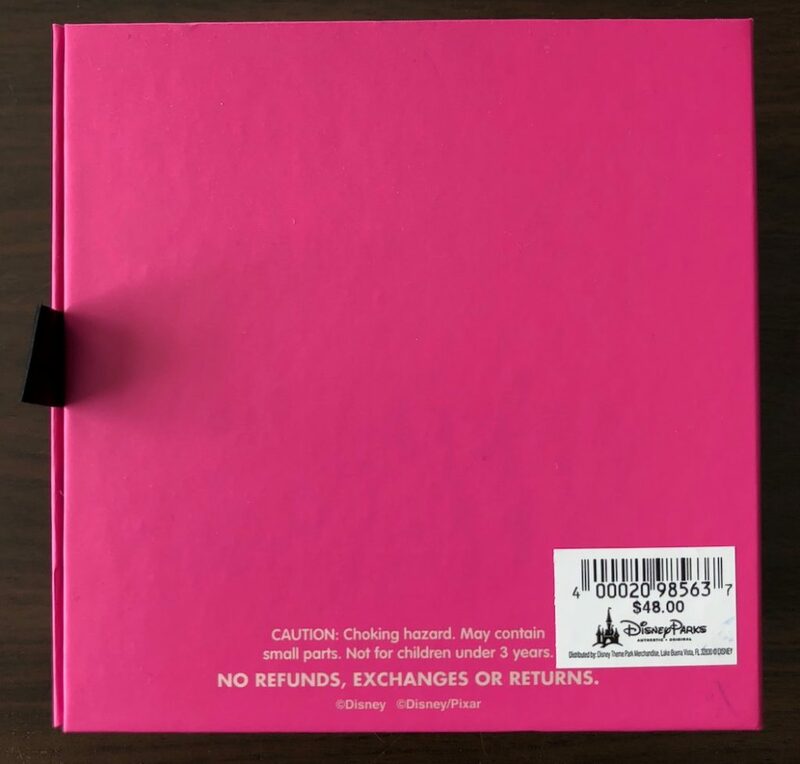 And if so, what stores would i be able to find it at on disney property?